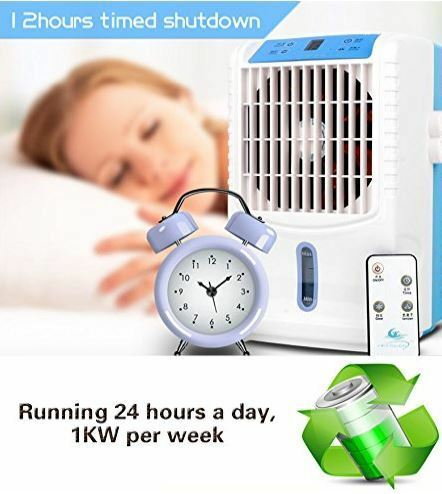 Do you want to sleep cooler at night - without turning down the AC? Science tells us that in order to get a good night's sleep, cooler is definitely better - but you'll need your bed to be a lot cooler than you might think. The perfect temperature for most people to get a good, deep night's sleep is between 60 and 68 degrees Fahrenheit. If you experience night sweats or hot flashes during sleep or your mattress reflects too much heat, then your sleep quality will definitely suffer. This is because your body's cooling process requires your brain to focus, which prevents you from having a restful and deep enough (REM) sleep during the night. Cooling pads, mattress toppers, and forced-air comforters are all solutions that can help you sleep cooler in a warm room without having to adjust your thermostat. But navigating this crowded and over-hyped market can be hard. That is why we spent over 40 hours examining the bed-cooling market and selecting what we consider are the best cooling mattress pads, toppers and comforters you can purchase on the internet -- and reviewed them for you, below. Read on to learn about the best bed cooling solution for your budget and unique requirements. Who Needs a Cooler Mattress? 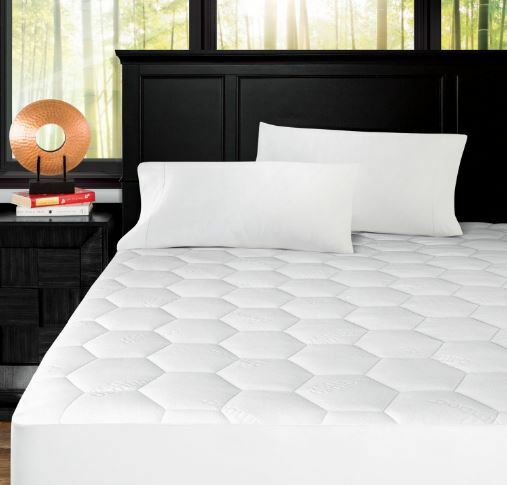 This buying guide contains reviews on the best cooling mattress comforters, mattress pads and toppers selling today. In them we provide enough detail to help you make the best purchase decision according to your budget and requirement. After the reviews, we discuss the features and options to think about when deciding which cooling solution is appropriate for your bedroom. We finish by answering the questions that are asked most frequently about this emerging and exciting climate control space. The products mentioned in this post are all highly-rated by verified consumers on Amazon and other major retail sites. As every person has different requirements, not everyone wants a cooling solution for their mattress. You sleep on a ‘hot' mattress that reflects heat and traps moisture. Other than sleeping hot, you want to keep your bed. You sweat or sleep hot at night. You get hot flashes during the night. The BedJet V2 climate comfort system climate comfort system is one of our favorite picks for anyone who really wants to stay cool at night - especially if you live in a humid, warm climate. 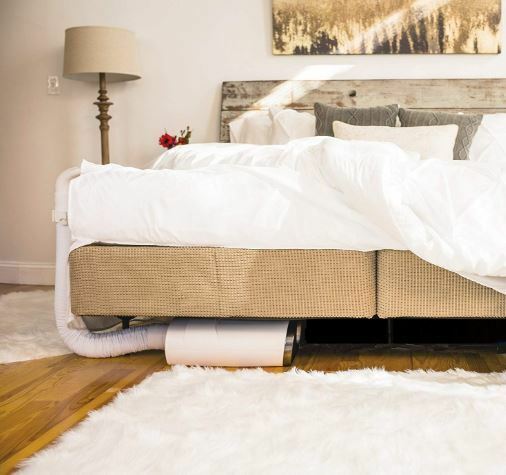 This system uses forced air to heat and cool your mattress from the inside out - and maintain it at the exact temperature you set. The BedJet is technically a mattress ventilation system that works by forcing heated or chilled air beneath your covers and sheets. To adjust temperature, use the provided wireless remote control. You can also change the settings by using the BedJet Smart Remote smartphone app over a Bluetooth connection. The BedJet V2 system responds fast when there is a change in settings. It takes approximately 2-3 minutes to cool down the bed or to make it toasty warm. This unit is also very quiet: you will hardly hear it due to the patented acoustic damping technology. 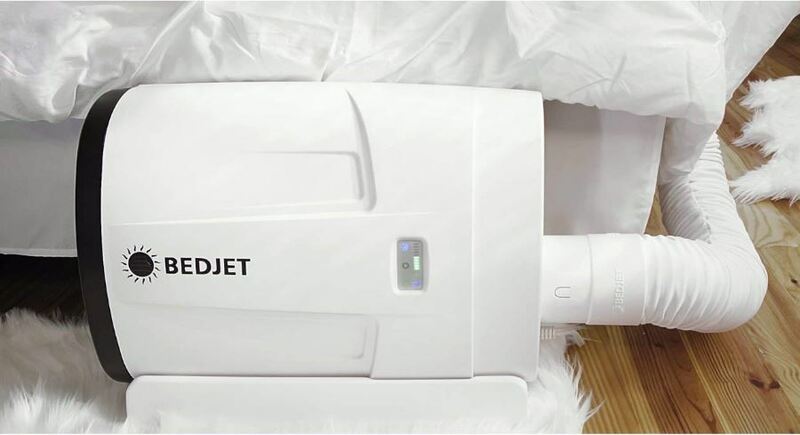 Additionally, the BedJet V2 includes a lifetime washable filter to ensure no dust or allergens are in the air going into your mattress. The BedJet V2 is built in such a way that it works with all bed sizes and works with all kinds of beds including adjustable beds. For setting it up, place the central air unit under the mattress and install the hose under the top sheet or blanket. For couples who differ in sleeping preference, there is a more deluxe edition developed for King Size beds which utilize two BedJet V2s, placed on each side of the mattress so that both individuals can control the temperature of their side. For superior temperature control, this unit includes BedJet's dual zone Air Comforter Sheet. You have to plug each side of the ventilation system into the sheet, and cool or warm air is directed to that side through hollow cavities. If there is a temperature control problem only on one side of your bed, you can purchase a single-zone system Air Comforter sheet. It offers a quicker and more even distribution of air. The BedJet AirComforter Sheet costs about $399 for the single-zone model and $799 for the 2-zone model. A really nice additional feature of the BedJet V2 is the incorporated oil diffuser that disperses essential oils to enhance the odor in your area, which can also help you sleep. One more exciting new feature is the Biorhythm Sleep Technology which lets you program the device to set your bed to different temperatures at various hours during night - to match the demands of your body as you move in and out of REM sleep. If you tend to get warm at midnight or chilly towards morning just like many people do, then it is possible to program the V2 to warm you up. If you’re currently looking for a comforter that can warm your bed and offer a split-temperature configuration for your spouse, the BedJet V2 is a great option. The BedJet V2 includes a two-month money back guarantee, 2-year warranty, and reliable customer service. 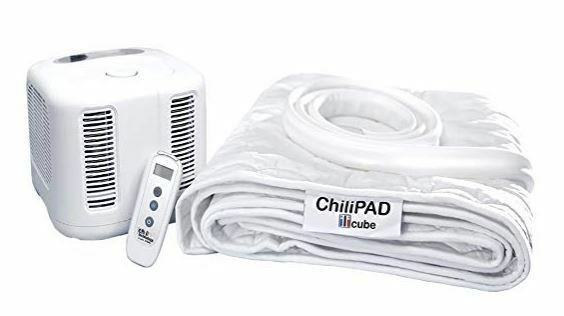 Like the BedJet V2, the ChiliPad is also an advanced cooling system, but it functions in a slightly different way which enables it heat or to cool regardless of the environment in which it is placed. Rather than using air, ChiliPad utilizes water to maintain the surface of your mattress at an accurate temperature. Much like the BedJet, you can warm and cool, and there is a split-configuration edition for couples. This kind of Climate-Controlled Mattress Pad system comes with a central unit where you add water and adjust the temperature. The central unit called ‘cube’ is connected to a series of tubes embedded inside the mattress pad. If you purchase a single-zone ChiliPad, you’ll obtain one Cube that supplies the full ChiliPad. 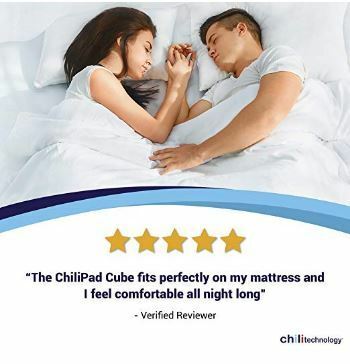 If you purchase a dual-zone Chilipad, you get two cubes for both sides of the mattress. The temperature range of Chilipad is quite broad. You can cool down your mattress to 55F and warm it up to 110F based on how you prefer to sleep. You can do a lot more things with this expanded range temperature range, such as cooling down after a workout or warming-up a shivering-cold kid. You change the temperature manually through buttons on the Cube or through the remote control that is included. The ChiliPad comes in all mattress sizes from full to California King. 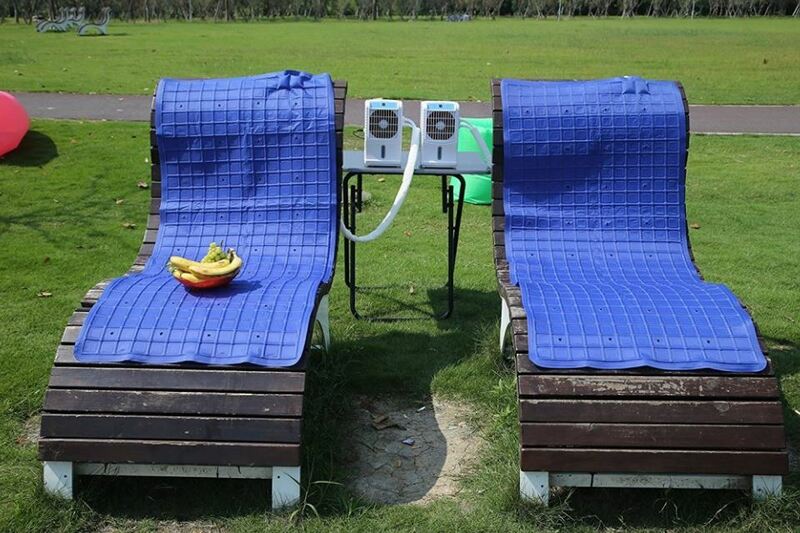 This cooling pad is expensive compared with other kinds of bed cooling systems. But Chilipad owners claim the benefits are worthwhile because unlike almost any mattress cooling system, the water-powered Chilipad can genuinely keep your mattress at the temperature you want, regardless of what environment it is placed in. If you want a forced air cooling pad that is affordable, then the Cool Buddy Classic is an exceptional option. You will get a 55" by 63" pad in $99.99. This mattress pad has an adequate size that can fit on beds including King Size however it won't cover the whole mattress. It is built to be placed under your body’s core. If you are looking for smaller pads that only cover your side or a small bed, Cool Buddy also sells that. 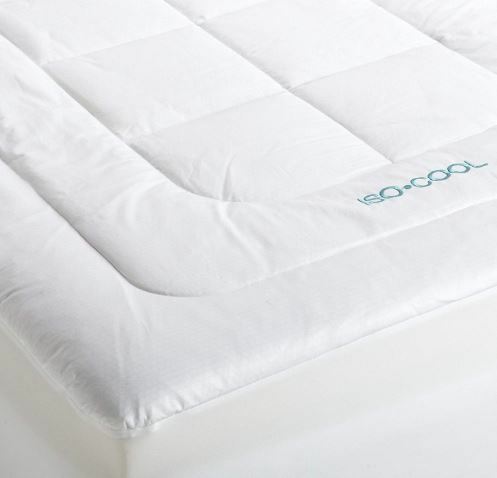 Like the Chilipad, the Cool Buddy Classic utilizes water to cool the mattress which gives you a good deal of benefits over forced-air cooling. The unit circulates heated water through tubes placed into the pads. The water will absorb the excess heat produced by the body. The Cool Buddy Classic is a money-saving and efficient option to remain cool in bed. Instead of turning the thermostat down when you need to cool the mattress, you can use this pad and cool your mattress fast. However, when we talk about features, the CoolBuddy Basic is reasonable according to its cost. The downside is that unlike Chilipad, the Cool Buddy Classic cannot be set to maintain a constant temperature. You can only alter the fan speed with a wheel on the remote control that is included on the cooling system. Four fan speeds provide various levels of cooling. The result is a system that can cool your mattress by 7-12 degrees Fahrenheit below the ambient (room) temperature. You can also program a time to turn the device off. Unlike the Chilipad, the Cool buddy Classic doesn’t contain any heating function and offers no split configuration. And don't turn off your home AC in the summer -- this unit cools by 7-12 degrees F.
The unit includes an ionizer that purifies the air for better sleep. We think the Cool Buddy Classic is a superb deal. It's less costly than any other cooling pad that is climate-controlled, yet it cools nicely. It's just not a precision-temperature system and does not heat. This is an excellent choice for hot-sleepers looking for an affordable option. Unlike the previous products, the Natures Sleep AirCool IQ mattress topper does not depend on air or water to keep you fresh. 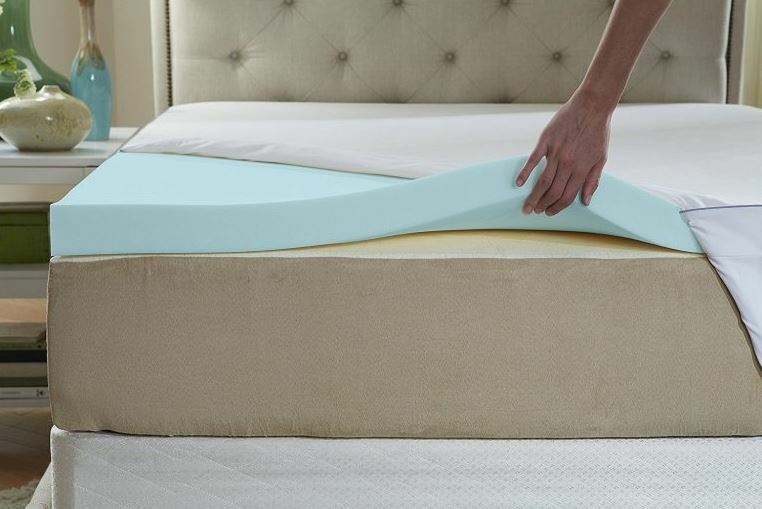 It uses memory foam gel to keep your mattress fresh, cool and dry. Memory foam by itself is not good at cooling. It absorbs heat and holds onto it, which makes it warmer and warmer through the night. To counter that, Nature’s Sleep Cooling Topper is stuffed with medicinal grade cooling gel. The gel not only absorbs body heat, but it also dissipates it to keep your mattress surface cool. Large cells inside the memory foam improve the cooling by ensuring that excessive sweat and smells cooling aren't trapped in your mattress. This keeps the bed clean and dry. The Sleep gel memory foam pad is not as good at cooling as a water- or air-cooled sheet, comforter or mat. But it is perfect for the person who doesn’t need much cooling and doesn’t want to spend a whole lot on a cooling system. If you need pressure-relief, this is also better than climate-controlled pads. Memory foam is a wonderful cradling substance. The 3-inch memory foam used here is super-plush. This topper molds to your body when you lie on it, pressure points are eliminated around areas such as buttocks back, and your shoulders. So you not only get to sleep more relaxed, but you enjoy a more wonderful Sleeping experience. The AirCool comes in various sizes ranging from Twin to California King. Along with the topper, you will find a microfiber cover that’s large enough to cover your mattress in addition to the topper. It enhances and keeps the topper in place. 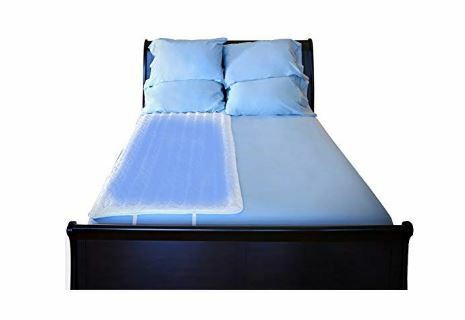 Like most people, if you are looking for a mattress topper that keeps you cool without freezing your legs, the memory foam pad by SleepBetter is an excellent option. As this mattress topper is full of memory foam, it has a bit more warmth in comparison to other types of fillings and foams. The cooling action in this topper takes place on the cover. The cover is made up of 100% cotton and is incorporated with Outlast Adaptive Comfort Technology, which comprises phase change, or PCM materials that feel cool to the touch doesn’t matter how much hot it is. The memory foam filling ensures that the mattress stays warm while the cover keeps it fresh enough to prevent overheating and night sweats sufficiently to help you sleep. Admittedly, this mattress pad isn't ideal for everybody. If you sweat during the night or experience hot flashes, we recommend one of the forced air or water-cooled products mentioned on this page. If you want something that can help you mattress feel just a bit cooler, though, an Iso-Cool pad is perfect. In addition to cooling, the Iso-Cool also improves pressure relief. The memory foam hugs your body, making sure that your shoulders, hips and lower spine aren't digging into the mattress. The cover comprises a RichLoft Polyester fiberfill which produces the topper feel comfy and plush. This topper is available in various sizes including Twin, Full, Queen, King and California King. 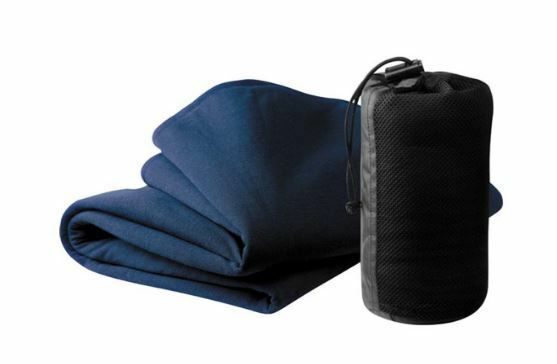 If you travel a lot, then you have noticed the Cocoon travel blanket used by fellow travelers. It’s super-popular. Lots of people also use it for relaxing in the park, for camping and as a blanket on their couch. Wherever you need a fresh, soft and breathable blanket that is easy to carry around, the Cocoon CoolMax is an excellent choice. This blanket is great for all situations, cold or warm. It is made from soft thin polyester that keeps you toasty when it is cold and offers breathability and cooling if the temperature is high. It's relatively large, too, so when traveling, you can drape it. This blanket is super-light and affordable and doesn't use up much space. The Cocoon travel blanket comes in 5 colors including chocolate, sea blue, and shadow green. Bamboo bedding is the perfect cooling material for a comforter that keeps you cool at night. Bamboo is also hypoallergenic, which makes it ideal for individuals with sensitive skin or allergies. The problem is, bamboo comforters tend to be costly. You are in luck if you are currently looking for a more affordable Bamboo cooling comforter, though. Verified Customers on Amazon say that the Equinox All-Season quilted comforter is lushly soft and airy light. The synthetic fiberfill material makes it feel like goose down. The microfiber cover increases the comforter's soft feel. Like bamboo, this Equinox is hypoallergic, so if you suffer from any allergies or have sensitive skin, you don’t have to worry. The microfiber does not feel itchy or scratchy. 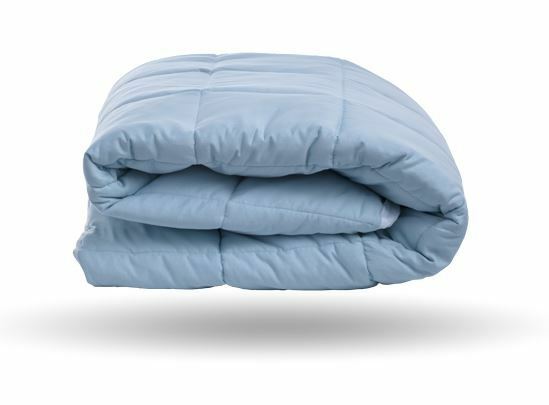 This comforter is durable, to, and will work for years no matter the weather. When it is hot, the comforters breath ability keeps you cool. And because it is light-weight, you do not feel weighed down or stuffy. When the weather is col​d, the comforter preserves heat and keeps you warm without letting you all sweaty and hot. The square pattern stitching in this comforter prevents the filling from shifting. Also, corner tabs hold the comforter on the mattress to make sure it does slip off. Three sizes of The Equinox comforter are available: queen, twin and king. The Zen bamboo mattress pad is cheap for a bamboo set. At this price, it is not all bamboo. It contains only 40%. But that is sufficient to make it feel fresh and comfy. At night, your body heat dissipates through the pad, and sweat is wicked away. So if you have a memory foam mattress that sleeps too hot, this is a right mattress pad to get. The Zen feels soft and comfy and supports your spine comfortably while offering a little bit more pressure relief to hips and shoulders. Additionally, it acts as a protector for your mattress. The material used to build this mattress pad is sturdy and durable, and you can wash it in the washing machine if it contains dirt and stains. The elastic skirt provided prevents it from getting displaced overnight. The ThermaSleep Snow is a mattress protector AND as a cooling pad. It makes use of a unique Nordic Chill fabric that dissipates heat faster than other materials like latex and cotton - and it feels cool when touch, ensuring you a refreshing night’s sleep throughout the year. The ThermaSleep Miracle uses a waterproof Miracle Membrane to protect your mattress. It works like a guard against dust mites and allergens also preventing sweat and spills from reaching the bed. The Therma-Sleep, despite being waterproof, is quite breathable. You won't feel hot or sweaty. The corners are stretchy to provide perfect fit and to keep the pad from shifting. If you don’t want a forced-air mattress pad, then this is the next-best choice. It performs close to water- or air-cooled pad without the need to plug it in. Rather than water or air, it utilizes a unique fabric by Outlast. The Outlast fabric uses PCM, or phase change material, to keep you cool. When you get hot, the PCM material stores your excess body heat by consuming it. When you feel cool, the PCM releases the stored heat to make the bed warmer. This mattress pad supply the perfect customized cooling. This is wonderful if your body temperature change through the night or you and your spouse have different sleeping preferences. The Outlast fabric creates a perfect temperature for you and your partner often called micro-climate. Alongside the PCM, cotton is used to enhance cooling and making the pad soft. This pad is great for allergy sufferers, too. Maintenance is easy, and you can wash it in the machine. You can get this pad in all sizes from twin to Cal King and in four colors (blue, white, dewdrop and mauve). For selecting the perfect cooling solution, you need to consider many factors such as the level of cooling/temperature change you require, whether you need occasional warming and of course your budget requirement. Different pads have distinct cooling capacities. By capacity we mean, how much it can cool your body down from the ambient (room) temperature? The larger the temperature drop, the higher the cooling capacity. Cooling systems you plug into a socket will always have the maximum capacity. This is because water or air is cooled/heated using an outside energy source, electricity. Some, such as the BedJet V2, let you vary the temperature through the night. If your body temperature changes through the night, this is beneficial. If you do not get hot or you need little cooling and breathability, then cooling mattress pads are great. All of the ones mentioned above use breathable materials that dissipate heat away from the body, whereas others use more advanced phase change materials to provide better cooling throughout the year. Mattress pads change the feel of your mattress, while powered coolers do not. So if you are buying a pad or topper, it is essential to choose one that's supportive and comfortable. If you already own a soft-enough mattress, then look at purchasing a pad made from latex or polyester foam, instead. You can also choose an extra-thin mattress pad if you don’t want the feel of your bed to get affected in any way and one that focuses on keeping you cool. 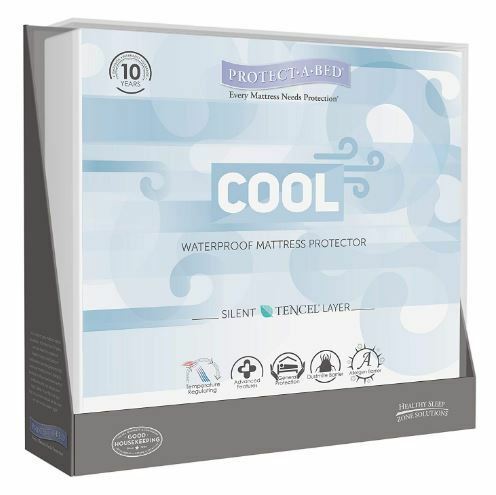 In this case, look at pads that double as a protector, like the Therm-A-Sleep Snow Cooling Mattress Pad & Protector above. When it comes to cooling sheets, there is a lot of confusion over whether elastic/fitted or flat sheets are best. Most people hate sheets that are not big enough or keep falling off. The same goes for mattress pads; fitted ones are the way to go. Luckily, the majority of the mattress pads you will encounter include an elastic skirt which you tuck under the mattress. That means no matter how many turns you take, the pad won’t move too much. Some pads use loose skirts which fold under the mattress. These work equally well. We do not recommend mattress pads that lie on top of your mattress, as they will get displaced every time you move. If you are buying a mattress cooling system for the first time, you will be surprised at how much they vary in price. Some are inexpensive while some (water-cooled systems especially) may cost as much as a new mattress. The first thing to decide when choosing a cooling system is what budget you can afford. If you are on a budget, say under $100, you will likely be looking at a gel topper or a pad that provide a limited amount of cooling. However, if you want better temperature control, then you will have to pay more. Most premium cooling pads are in the $100-$300 range. Here, you'll get features like plushier pads and phase change materials - some feel like a mattress. Now, if you are looking for precision cooling, prepare yourself to pay more for a powered air- or water-cooled system. Water-cooled and forced-air cooling systems are the ultimate solutions for controlling your body temperature while you sleep. They are far more precise, controllable and provide the greatest cooling capacity (temperature difference vs. room temperature). Powered cooling systems typically cost between $200-$1,000 for King and Queen sizes. Maintenance of most mattress pads is easy and straightforward. Some can be easily cleaned in a washing machine. More costly ventilated pads may require careful cleaning, but they're usually easy to maintain. Don’t forget to read the cleaning instructions for any mattress pad purchase, though. Some need water-based cleaning whereas others need dry cleaning. If you choose to go for a mattress pad, there are two types of pads to consider. 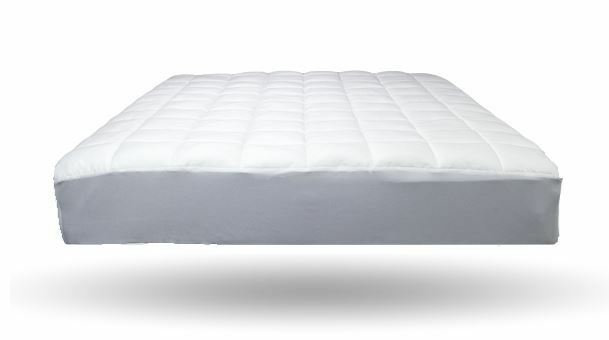 Several mattress pads like the BedJet V2 utilize air to cool or warm the bed. 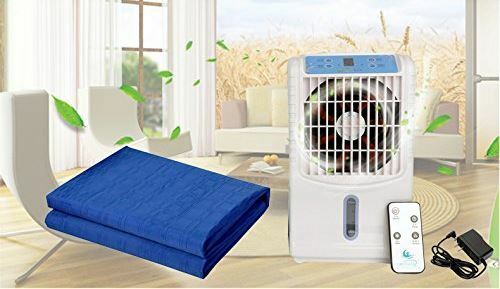 Hot or cold air is supplied through fans into the mattress. A forced-air system's advantage is that it efficiently cools or warms your bed. Additionally, it works fast. You will feel the difference in just a few minutes. The drawback is that it can be noisy due to the fans. Additionally, air-powered systems consume the most electricity. Some climate control mattress pads utilize a water-based radiant heating/cooling method. Rather than using warm or cooling air, they warm or cool you directly by running warm or cool water through tubes physically near your skin. A significant pump unit delivers water after its heated or cold and delivered through little tubes incorporated into the pad. Cold water is a powerful heat sink, quickly dissipating heat away from the human body in water systems that an electric heater warms temperature, water before moving through the tubes delivering heat to your body. The benefits of a radiant water system are that they are silent, more comfortable to use and often less costly than air systems. On the downside, they do not cool as fast as an air-cooled system. Water-radiant systems also provide less cooling capacity and need refilling. Bottom-line, if you can afford it, forced-air systems are the ideal solution. A high-quality air cooling systems like the BedJet V2 will barely produce sound, too. Seriously consider buying a mattress pad with a hypoallergenic cover. This is important if you suffer from allergies or have sensitive skin. Excellent cooling materials include cotton, microfiber, bamboo rayon, and wool. Some pads are made with polyester or other artificial fillings that replicate goose down or feathers. These substances are not only soft and comfy, but they're also good at wicking moisture away and cooling. If you want a memory foam cooling pad, pay close attention before buying. Foam pads can produce more heat on your mattress and may not be plush like other pads that use down filling or wool. Latex foam pads are the best cooling solution, but they often harden the surface of your bed. Choose a memory foam pad if you want something plusher. Make sure you choose a foam pad that is infused with cooling gel and has open-air cells to permit airflow. Forced-air or radiant water cooling systems let you select the exact temperature you want for your mattress. Most powered systems also offer a dual-zone configuration for partners with different sleeping preferences. 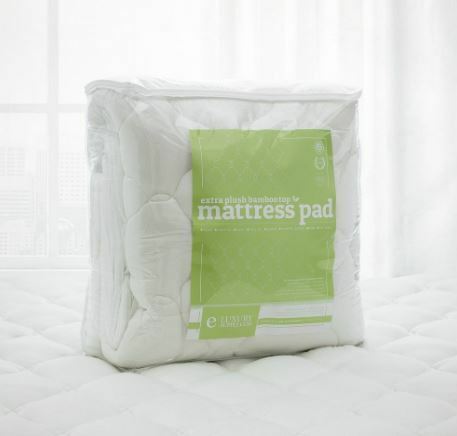 Even ordinary mattress pads can offer customized comfort with phase change materials. Depending on your body temperature, the mattress pad keeps you cool or warm. Using your thermostat is an inefficient way to cool your bed. Using a cooling pad, you can enjoy a comfortable and cool bed while keeping the room warmer than otherwise. This saves on air conditioning bills in the summer. You don't need to fight with your partner about the thermostat, either. Everybody can enjoy their comfort. For a great night’s sleep, sleep specialists suggest turning down the temperature more than you may expect. Even though the right setting can vary among different men and women, the ideal average temperature is 65F. A bed that is cooler lets you fall asleep quickly and enjoy a deeper sleep. A cooling pad or powered cooling system will help you sleep better, and you will be healthier, thus increasing your productivity at work. This can be a lifesaver for people with sleep disorders such as sleep apnea or insomnia. What Sort of mattress cooling solution is right for me? The right kind of mattress cooling solution for you will depend on many factors including the amount of cooling you require, whether you are sleeping alone or with a partner, and whether you and your spouse have different sleeping preferences. To select the best cooling solution, read our section above are — things to consider when purchasing a mattress cooling comforter or cooling pad. How do I keep my mattress cool during hot summer nights? You could turn the thermostat down, but that will consume a lot of energy and increases your bills. It will disturb your spouse’s sleep if they want to sleep warmer than you. Buying the right cooling comforter or cooling pad is a good solution. Pony up a few more bucks for a powered cooling system like a BedJet and you can set a precise temperature. Choose a dual-zone cooling solution if you are half of a couple, as this lets you set the temperature on each side individually. All the comforters mentioned above have a different lifespan. Thin foam pads often work up to 3 years, while sophisticated powered systems may last for 5 or 10 years. What are the best materials to keep me cool? Cotton, wool, synthetic filling, bamboo and microfiber rayon are a few of the substances used in cooling comforters and pads. They're all great at dissipating moisture and heat. Memory foam and latex foam are great options, too - make sure they are aerated so air can flow through them. How long can a memory foam topper keep you cool? The answer to this one entirely depends on the design and the quality of the memory foam. Some memory foam toppers keep you cool till midnight but then begin heating up as heat is trapped inside. This is the reason we recommend buying gel-infused memory foam toppers with open cell structure. They will keep you cool throughout the night and don't trap nearly as much heat. Outlast a kind of fabric that uses Phase Change or PCM Materials to provide personalized comfort. The PCM releases and absorbs heat based upon your body temperature. PCMs absorb heat to cool you down when you're feeling warm. When you’re feeling cold, the pad release heat to keep you warm. So whatever the weather, you won't be too or too cold warm. A few pads mentioned above use Outlast Technology. Which sort of solution is ideal for high-humidity/tropical environments? Consider an air-cooled mattress system such as BedJet V2. It's ideal for moist & warm climates. Water-based systems typically do their best job in drier climates. But they're not useless in humid rooms. This is because the system is limited to the mattress rather than the home. But, for the best results, we recommend an air-cooled system. Simple cooling pads composed of foam or filling work by improving airflow. This helps to rid the bed of your sweat and body heat. PCM (phase shift material) cooling pads work by absorbing and transforming surplus heat from your body into a change of material shape when you are feeling warm - and using the same mechanism to release heat back when you are feeling cold. Powered cooling systems work by passing air or water next to your body to carry excess heat away or to provide additional hear.